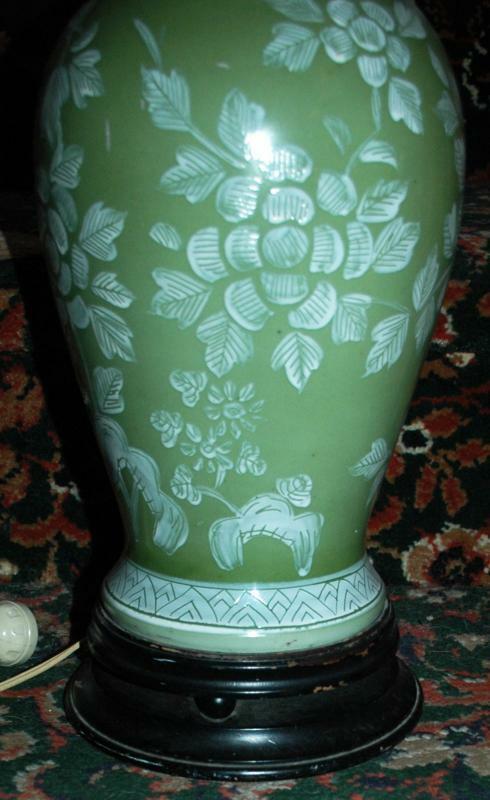 Vintage Oriental Porcelain Baluster Vase style Table Lamp Hand Painted Green with White Flowers. It is 25.5" tall and about 7 wide at the widest point. 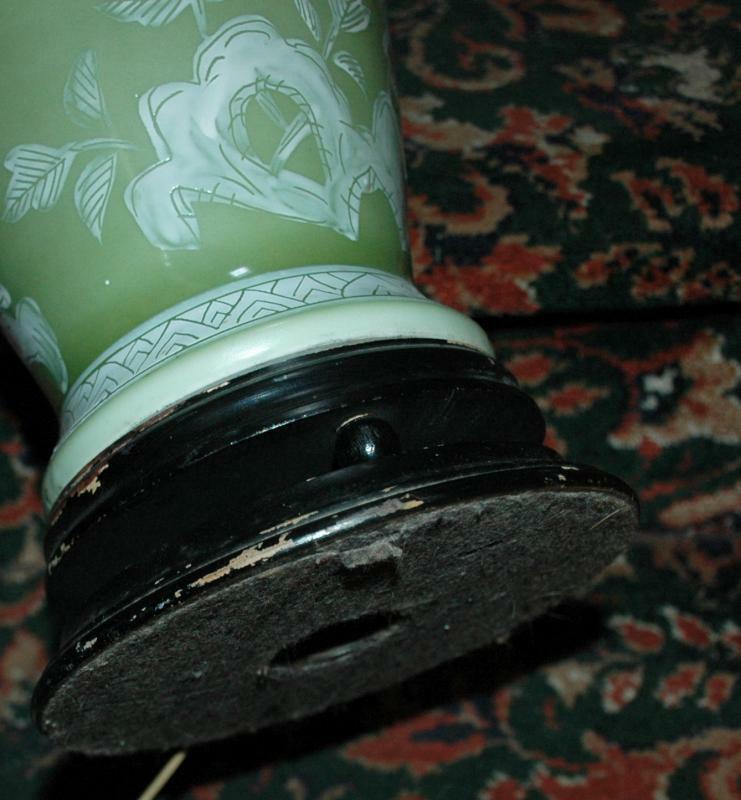 The bottom rests on a double tiered wood stand. The top has a brass disk cap with the post being brass as well. 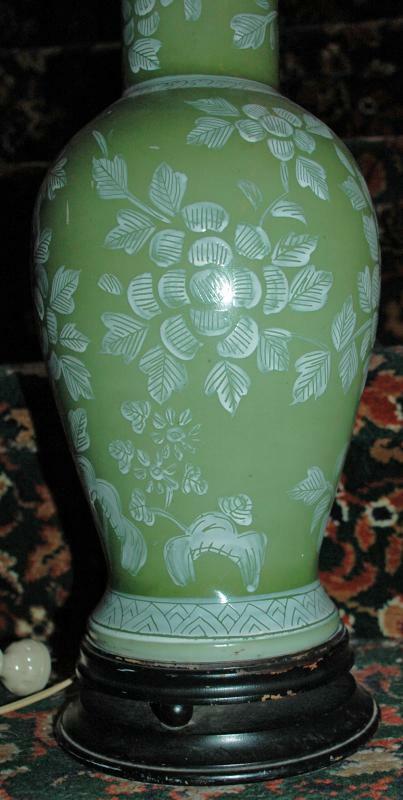 It is a lovely green apple shade or porcelain with brush strokes made into the floral motif. The lamp works and has the original wiring which also find. The plug is missing a little piece that hides the wires that connect to the prongs. That piece is usually just a simple bit of cardboard which was normal on early plugs. 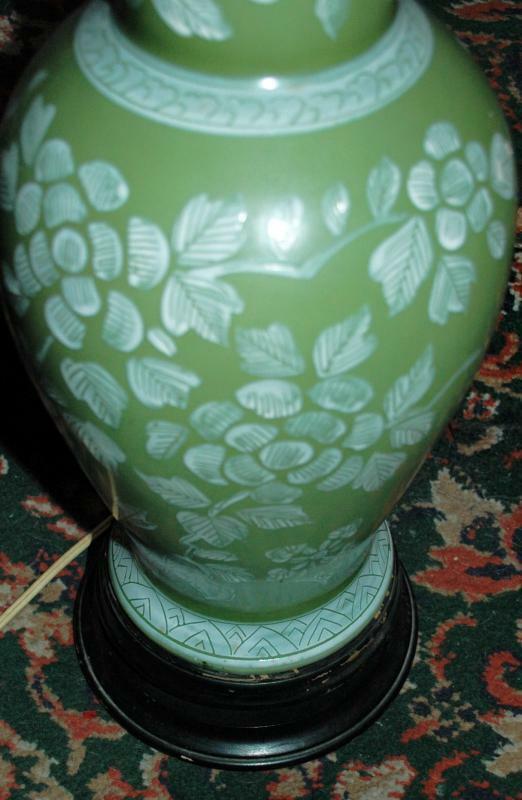 Items Similar To "Oriental Porcelain Table Lamp Baluster Style Hand Painted Green ..."